Technology has become a wonderful staple and a beacon of efficiency in our lives. Words that once took days to reach their intended recipient can now be communicated in mere seconds. We all know the mediums of email, texting, and the power of social networking. I fondly remember growing up and loving to read and write. I definitely was an ardent reader and used writing to express how I saw the world at a young age. My tools were a No. 2 pencil and a pack of paper from K-mart (my granny’s store of choice back in the day).I took what my world and environment showed me and wrote themes around it. I remember having thousands of pages of writings pages that I still have, ironically. In today’s world the pencil and paper have been replaced by technology. The problem with technology in relationships is that we can’t build strong, healthy, and loving relationships with texting being our main source of communication. Relationships require a deep sense of connecting in oneness, accord and transparency. This is best developed in an environment conducive to fostering those activities. “Face time” should replace texting as your main source of communication with your partner. If 50% or more of your conversation with your partner consist mainly of texting, email and online social networking, I suggest you both evaluate what you have. I know some of you are thinking, “I am busy!” Well, so are a lot us (especially me), but we can’t use busy as an excuse. Let’s be honest here: for some of us, we text because our hearts are truly unavailable. Texting keeps the relationships at a more informal level and in some ways reduce expectation. For some people they text to do less work in the dating process, thus less work in the relationship. I feel heavy texting can be a sign of an unavailable heart. Texting is a way for some people to avoid deep emotional attachments, yet; still seek to have companionship. This only leads to friends with benefits or purely sexual connections which lead to ungodly sexual soul ties. I challenge all of us to get back to appreciating the beauty of getting to know someone using “face time,” which does include phone conversations. If we can use our fingers to text, we can use them to make a call. Many of us have ruined beautiful and potential relationships through texting or email. Think about how many arguments happen in relationships because a simple misunderstanding that begins with a text message or email. It is very hard to gauge anger, sincerity, or sarcasm in a text message or email. 1. Please don’t text on dates because it is rude and in very bad taste. It says a lot about who you are. Have enough common courtesy and respect for who you are entertaining during your evening. The exception being an emergency. 2. Another major no-no is breaking up through texting. I feel it is very immature and shows a lack of respect. If any of you reading this were broken up with through texting that person was not worth the time anyway. 3. Don’t say I love you for the first time in a text message. 4. Don’t make texting your major source of communication with your partner or have conversation about a serious issue through a text message. Make time to discuss in person or by phone. 5. Don’t ask for a date through a text message, especially the first seven dates. Let’s get back to “old school” human interaction and seek more “face time” and less “texting.” I feel it will create more healthy and vibrant relationships and help us discover more quickly our compatibility with someone. Technology can never replace our need for a human voice or touch. and what about those relationships that use to be soley based on letters and writtings that took days and weeks to get to the partner? what about the “letters” from a girl/boy people wrote b4 they could speak on the phone in midddle school? sounds to me like he could be simply promoting this new “face time” thing. when the BEST kind of relationship is a physical and close one. “Truth”: During the times where all people had was letters, the couple already engaged in FACE TIME before they went into writing each other and made the investment to be patient and practice endurance. The best kind of relationship is physical. Being about to SEE the person, HEAR the person, and if the relationship is good and going very well, being about to TOUCH the person. Doing all that expression with majority of texting starts to lose it’s intimate level at some point. Eharmony is successful because it’s a SCREENING system. People are matched up based on mutal traits and go though a process of telling each other what they are all about. If there is mutal like…..guess what happens……..EXACTLY what Mr. McCall suggests should be happening for the odds of a relationship to thrive and strive……………………………….”They engage in FACE-TIME”. Thank you Brother. I appreciate the kind words. I had no idea that is how E-Harmony works, so thanks for the info. I totally agree! I personally love writing letters and prefer one on one interaction. Texting does take away accountability and responsibility. In most cases I think it is cowardly or in some ways a way to keep walls up or even hide things. 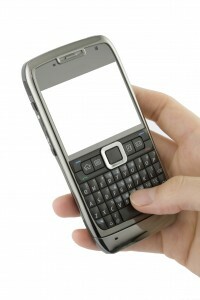 Texting can be a very useful and even “supplemental” in communicating. It must not be the main source of communication. There is a time and place for it. Great article as are the others. Keep sharing. Totally agree & THANK YOU for letting God use you! This was a HUGE problem for me as I am “old school” as well and feel like if you have time to tweet/fb/text, then you have time to call. Especially if you go from calling me all the time in the beginning to barely calling me but texting me all the time. I’ve had to tell guys “Until you are ready to speak over the phone about the issue, I will not communicate via text/IM/fb/etc.” I just won’t do it anymore and refuse to be forced to communicate via text about serious issues. I have no problem waiting on the Lord for a man who understands this! thanks man. The world need brothers like you. Hi Quentin! Thanks for the great article. I have a question though. What about people who are in long distance relationships? It’s very hard to get face-to-face time when we’re both in different countries. Wow!! I just expressed this to a friend, texting can be totally misconstrued and twisted.. I hate it, if you can’t call me then we have a problem.. I recently read another article that considered the same issue of text messaging and relationships. Especially in the beginning stages of getting to know someone, text messaging should be limited. I agree with all of your suggestions regarding text messaging and hopefully we all take heed to it. I must admit, I have text messaged while out. It is very rude and should not be done. If you want to text message someone else while your on a date, then you should not have gone on the date anyway. Stay home and text, if you desire, but don’t waste anyone else’s time. Many could argue that the generational differences make text messaging more commonplace for the younger folks, but at the end of the day, face to face communication is always better than computer mediated communication. This is a topic I have dicussed with my friends on several occasions. I think it extends to same gender (friends) relationships as well. I can’t stand it when I am out with my girlfriends and all of them have their phone on the table waiting for some text or notification to come through. It’s so crazy! I also don’t like it when I’m out with someone and they are playing some game on their phone like I’m not sitting next to them. I love smartphones, but there is a time and place for them. Brother, I have to comment… This is so true! Allot of men and women today suffer from short attention spans… Sort of like attention deficit disorder and they jump from one thing to another… and they don’t realize they use this technology and transfer that philosophy into dating. So, they will never invest quality time into a person, instead the person becomes an object that they play with through technology.. And then they’re always looking for the new object… So they upgrade objects as quickly as they upgrade applications. We were never intended to be pure entertainers to each other… If that were the case then Jesus would’ve turned the stones to bread to entertain satan. God didn’t make us to turn tricks via technology. I really like this article. Thanks for posting it up.